The stigma of Helloween is a hard one to get rid off, as illustrated on Gamma Ray's first three LPs. Kai Hansen succeeded in creating a band of his own, but he couldn't come up with an idiosyncratic style or even implement it well. Land of the Free is, however, a complete success considering Hansen's progression. 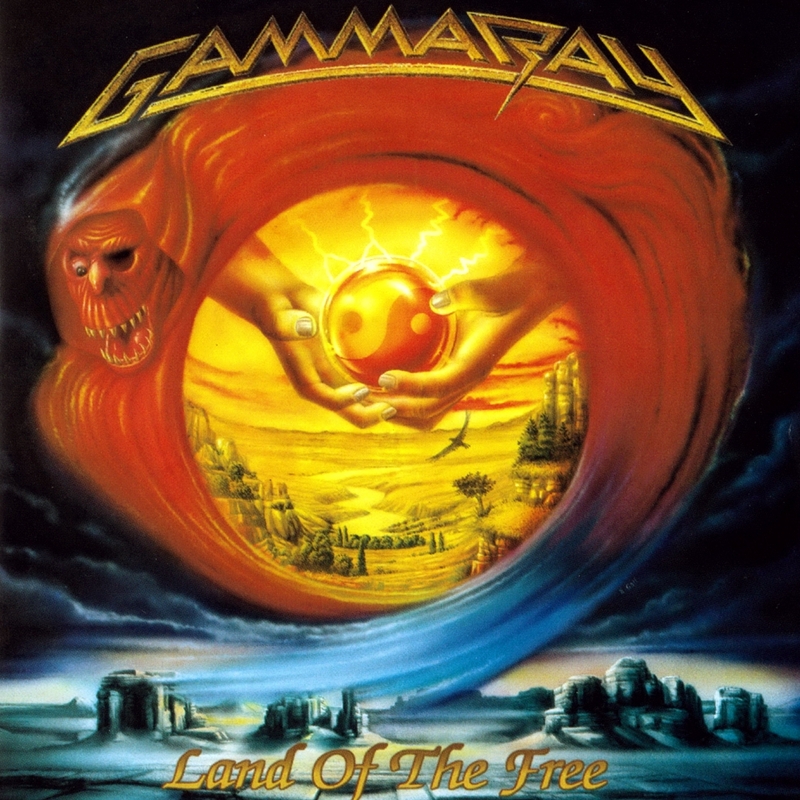 Land of the Free intriguingly breaks the basic concept that Gamma Ray's contemporaries have used so much. The opener, "Rebellion in Dreamland," for example, doesn't have a decent structure. The seven-minute piece is constructed in many different parts, instead of the verse-chorus-verse pattern that is so typical of other metal bands. Also, most importantly, their large sound is achieved by using synths and sound effects, so Land of the Free offers a lot more than just distorted guitars and high-pitched singing. The songs themselves have their downsides, but mostly -- because of their structure -- the riffs are very inventive and succeed in being both catchy and diverse. The actual songs (there are many short pieces between songs) as wholes are flawless, so Land of the Free is an almost-perfect album. It really serves the definition of power metal well and is indeed one of the most metal albums of the late '90s.